On a day trip to Rotorua the previous month we hit some of the tourist attractions and knew we needed to come back for a longer stay. Fast forward to the next public holiday, Anzac Day, and we’re on our way. Queenstown and Taupo are known for their extreme activities, but Rotorua offers its own excitement for kids of all ages. 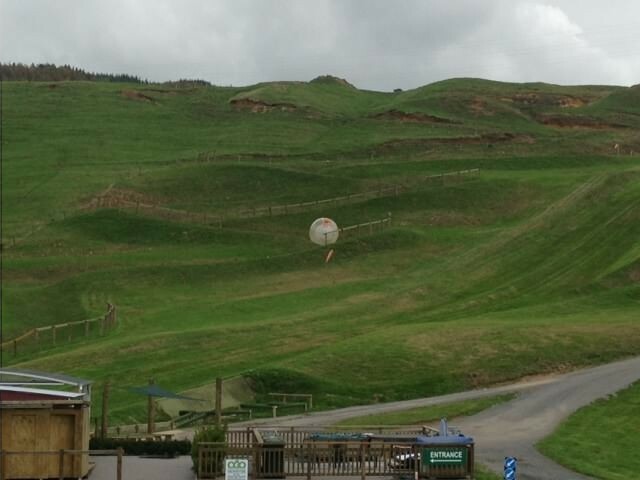 OGO (or Zorb) is more fun than it looks from outside the ball. It is like being in a long water slide. The luge at the skyline also turns gravity into fun as we raced down the mountain on the plastic go carts. Afterwards we enjoyed a wine tasting and gorgeous views of the lake from the top. Having never seen redwoods in the US, I was amazed at their mass and height. 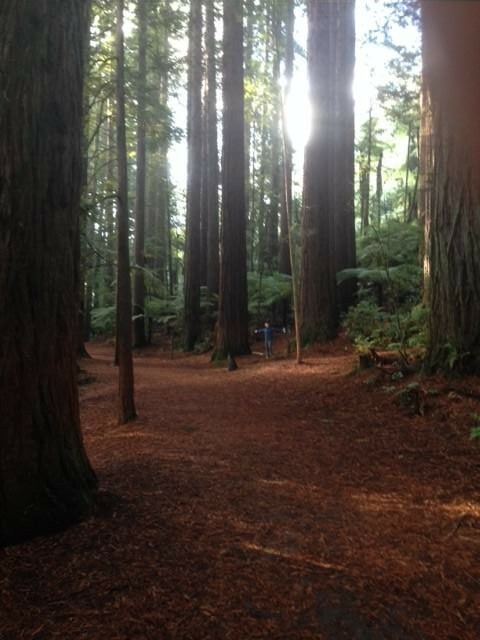 The Whakarewarewa Redwood Forest offers several hiking and biking trails. The Polynesian Spa lived up to its reputation. With so many options I was tempted to select a less expensive spa, but as soon as I was settled into their mineral pools overlooking the lake I was happy with my decision. With the pool to myself it was the perfect way to relax before my full-body mud mask. Accommodation: private room at YHA Rotorua; great location with clean, basic rooms. They had an entertainment book which we were allowed to use vouchers from. However, you can her noise from the Base hostel across the street. Polynesian Spa was serene, but I’ve heard it can get crowded when tours arrive after 3pm. I got the mud wrap treatment so access to the hot pools was complementary. Food: All of our meals were fantastic!